Of course, the name Lombardi comes up a good bit 'round these parts – head of the Holy See Press Office since 2006, Federico Lombardi SJ has been head of Vatican Radio for even longer... and after years of invariably handling countless cycles of difficult news with a smile, has only recently, finally, come into his hour of fulfillment. On these shores, meanwhile, the name is likewise full of meaning and the most sterling symbolism... and when you think about it, not for significantly different reasons, either. 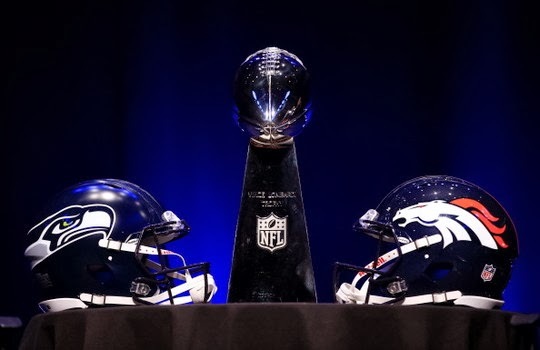 More than any other, this is its day – Super Bowl Sunday, when the Vince Lombardi Trophy, named for the legendary Packers coach who won the first two meetings of NFL-AFL champions, is up for grabs for the 44th time. This year, football's home stretch takes on an added resonance given the game's first-ever occurrence in North Jersey and New York, the place Lombardi spent his life before heading to Green Bay in 1959. There, on the frozen tundra of Lambeau Field, he would become –alongside Notre Dame's Knute Rockne – the most venerated general in the history of the game. But that's what where most know ends... and this beat begins: as a teenager, Lombardi spent four years at Brooklyn's Cathedral College – the diocese's high-school seminary – and even as the Pack's chief, remained a daily communicant and often a server at morning Mass. Beyond the Gotham tie, Tim Dolan was an especially perfect choice to narrate the piece, having been the archbishop of the Lambeau Faithful from 2002 until his beloved cheesehead was traded for a "red hat on the Statue of Liberty" five years ago this month. Speaking of Green Bay, titles and hats, the diocese's departing vicar-general, now Bishop-elect John Doerfler, will be ordained in Marquette a week from tomorrow.